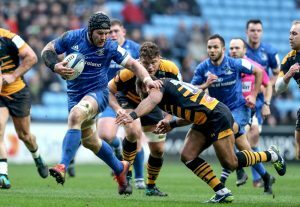 Sean O’Brien will start in the back row for Leinster when they take on Ulster in their crunch Heineken Champions Cup quarter-final at the Aviva Stadium tomorrow (5.45pm). The Tullow Tank will play on the openside in front of a sell-out crowd for what should be a tasty clash of the Irish provinces. Carlow’s Ed Byrne has been named on the bench and the prop will also play a big part in the day’s action. It has been confirmed that Johnny Sexton will play no part in the game after failing to recover from injury. Jordan Larmour starts at full back with Adam Byrne and Dave Kearney on the wings. Rhys Ruddock captains the side from blindside flanker, with O’Brien at openside and Jack Conan completing the pack at the base of the scrum.